I usually think about what I’ve lost from being chronically ill, which is pretty much everything. But it turns out I have also acquired many odd new talents. 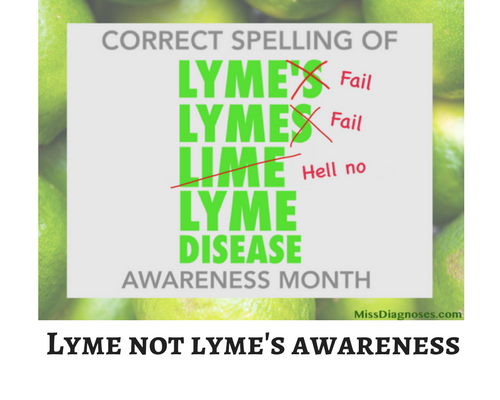 Here are a few, in honor of Lyme Awareness Month, MCS Awareness Month, Allergy Awareness Month, ME Awareness Month, Celiac Disease Awareness Month, and other spoonie-type awareness months that unfortunately all take place in May (a bit exhausting, maybe?). A few months back I participated in a contest to design Lyme Warrior string dolls. The dolls are made by Kamibashi Asian Art and part of the purchase price goes to LymeCares, a great charity that raises Lyme awareness among socially responsible businesses. LymeCares uses products these businesses donate to create lovely, therapeutic gift packages for Lyme patients in need. I just got the female doll–it is very cute and tiny! You can see the male doll (it has a tiny green hat!) and the dolls they have for other diseases here. Also, the five cartoons in this post have been made into a video, originally created as a Facebook slideshow by my awesome friend Lily from The Sleepy Girl Guide to Social Security Disability. Please check out her fantastic blog for super-detailed, helpful information about applying for disability, getting Medicaid, getting homecare, getting accessible transportation, and everything else a spoonie needs to know. 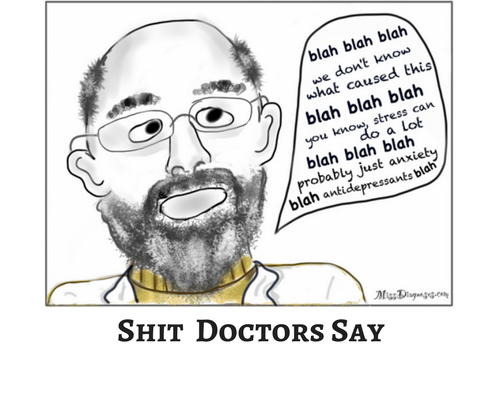 Therapies , however, I really believe there is no cure yet. Just hope it happens in the future. If I ha ea slight remission, it the. Comes back with a vengeance. Loving your humour as everyone asks me those questions. Thank you! Yeah, maybe someday we will have a cure! I have fibro. My ND is investigating the connection to Lyme so I’ve been doing a lot of researching. Love your post and can relate, especially the one about supplements. 😏 😄. Keep your sense of humour, it does help. Thank you! Fibro was my original diagnosis. I’m glad your ND is researching Lyme. There’s often a connection and a lot of doctors don’t take the trouble to investigate. Thank you for this post! My favorite part was the info graphics. I needed the laughs! I think my favorite one was the one where you were saying that you were the owner of such and such company. I like that excuse! Out of curiosity, when you say prolotherapy, is it prolozone your referring to? I’ve heard of prolozone. Haha, thank you for commenting! I’m glad you liked it.I don’t think prolotherapy is the same as prolozone. Prolotherapy is really a treatment for tendon and ligament damage. A lot of doctors unfortunately do steroid injections for tendinitis–as you know these are so bad for us Lymies. Prolotherapy is natural and it strengthens the painful area instead of weakening it long-term as steroids do. PS: I’ve had one negative and one positive for Lyme. Looking into hyperbaric chamber in Malaysia for treatment. Absolutely! I am so honored! 💚💚💚I am on Instagram @miss_diagnoses. I think I just followed you there… it was the account under your name. Was that the right one or do you have more than one? I’m glad you’re going for the hyperbaric treatment. 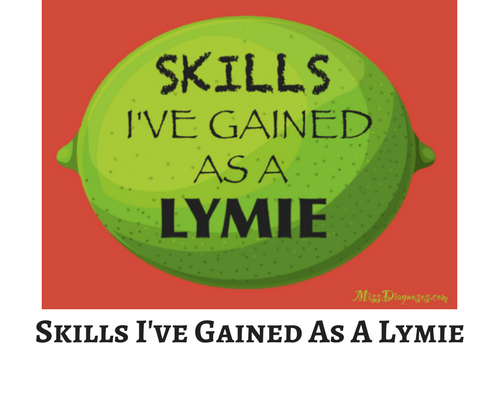 The standard Lyme testing is very unreliable as I am sure you have heard…a lot false negatives. 😕 Some labs are decent though like Armin and IGeneX.